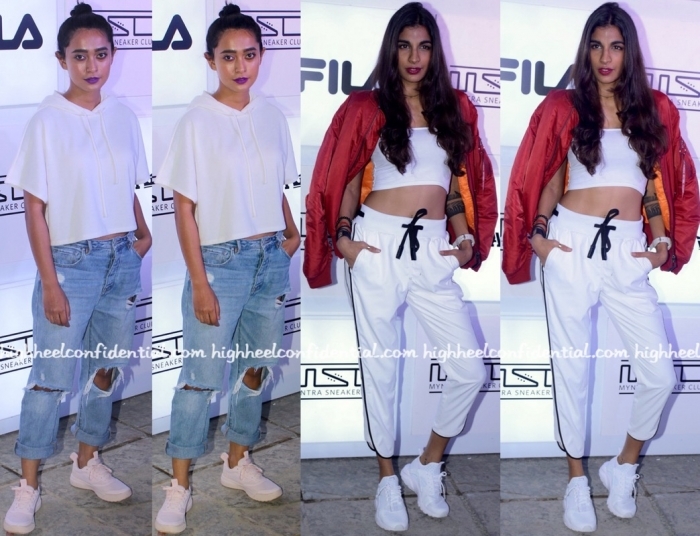 While at a sneaker club launch in Mumbai, both Sayani and Anushka went for the casual in their midriff-baring separates. Sayani paired her distressed denims with a Nishka Lulla hoodie. And Anushka teamed her Noughtone joggers with a Purple Paisley crop-top with a red bomber. Both ladies finished out their look with a pair of sneakers.